Probably not taking name inspiration from David Hasselhof and his female lifeguards, Brouwerij Hof ten Dormaal from Tildonk, Belgium opened in May of 2009. In fact, Andre Janssens and his family who bought the farmstead 30 years ago had no intention of brewing beer. Farming wasn’t paying off so they added a 100-percent self-sustaining estate brewery — they grow all their own grain, grow all their own hops, cultivate their own yeast strain, and even power the brewery with rapeseed oil that they produce. Oh, and their original Belgian farmhouse ales — brewed by Jef Janssens strictly via traditional methods — are delicious, including their Hof ten Dormaal 2016 Barrel-Aged Project Blond Ale. The Janssens hand-sourced a broad selection of barrels previous housing fine wine and spirits from across Europe aging special blond ale and a dark ale for months. 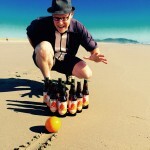 The “Barrel Aged” beers are packaged in 6x75cl cases with each beer being displayed in it’s own presentation box, as you’ll witness standing in front of the Peaks and Pints cooler. 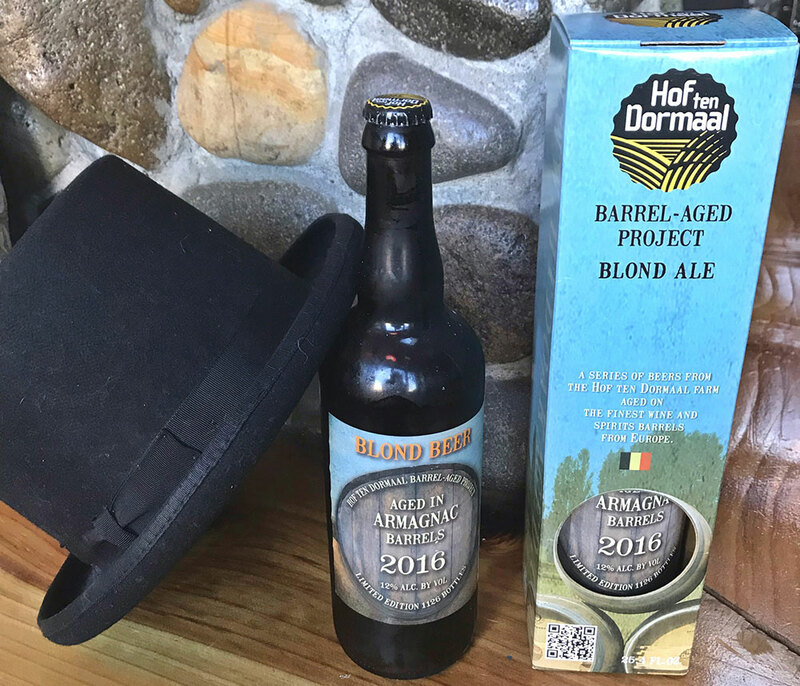 For this week’s Fancy Pants Sunday — a weekly look at complex fancy craft beer and cider — we present Hof ten Dormaal 2016 Barrel-Aged Project Blond Ale. This blond aged on Isle of Jura whisky sports a huge estery aroma of plums, nectarines, freshly cut red apple, blood orange juice, straw, red wine vinegar, biscuit, and booze. On the tongue, expect soft carbonation delivering bright and vivid yeast fruitiness, peach, pineapple, strong sugared orange juice, malt sweetness and lip-smacking sourness with a hint of peat whiskey. Oh, you fancy Hof ten Dormaal 2016 Barrel-Aged Project Blond Ale.